For the production of tiles and ceramics, Savio proposes lines of filtering equipment, centrifugal fans and multi-stage blowers used for the dust pneumatic conveyors and ventilated barriers at main doors. 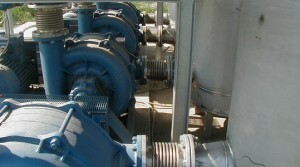 For the supply to extensive tile manufacturing systems, our company proposes the use of yarn sleeve filters or with cartridge also of large dimensions with flow rate up to 400,000 m3/h and provides centrifugal multi-stage blowers used for conveyor systems and pneumatic cleaning of the departments. Furthermore, our ventilated barriers at the main doors prevent the heat passing from access to the departments toward the external environment, with considerable energy saving.